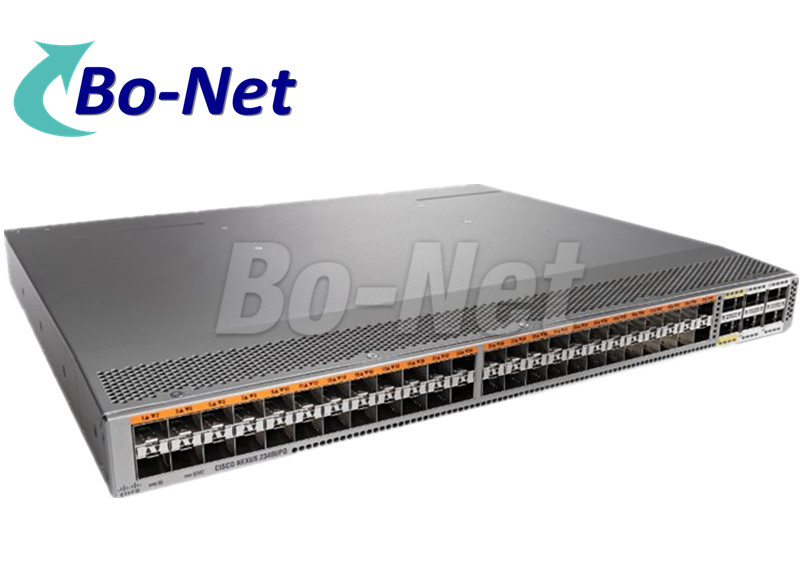 Shenzhen Bo-Net Technology Co., Ltd is the leading global supplier of quality networking equipment and we have over 10years experience in this field . *High quality products and services. 2.What's the quality of the products? All the items are brand original with full test before shipping . 1year warranty for new products . 3months warranty for used products . Lifetime warranty for CISCO small business series. If you purchase have any working defects during the warranty period we will replace the unit. 4. How to place order ? We accept many terms of trade, such as T/T, Western Union, Money Gram and PayPal . We deliver products by FEDEX, DHL, ARAMEX and TNT, etc. We are also able to deliver goods to your forwarder in China if you need . 6. How about the delivery time? The Cisco Nexus 5548P Switch (Figure 1) is the first of the Cisco Nexus 5500 platform switches. It is a one-rack-unit (1RU) 10 Gigabit Ethernet and FCoE switch offering up to 960-Gbps throughput and up to 48 ports. The switch has 32 1/10-Gbps fixed SFP+ Ethernet and FCoE ports and one expansion slot. The Cisco Nexus 5548UP (Figure 2) is a 1RU 10 Gigabit Ethernet, Fibre Channel, and FCoE switch offering up to 960 Gbps of throughput and up to 48 ports. The switch has 32 unified ports and one expansion slot. The Cisco Nexus 5596UP Switch (Figure 3) is a 2RU 10 Gigabit Ethernet, Fibre Channel, and FCoE switch offering up to 1920 Gbps of throughput and up to 96 ports. The switch has 48 unified ports and three expansion slots. China Good Quality Used Cisco Switches Supplier. Copyright © 2018 - 2019 usedciscodevices.com. All Rights Reserved.